Your go-to guide for building strategic agility with OKRs. Start Less Finish More is a systematic approach for building strategic agility in your organization. 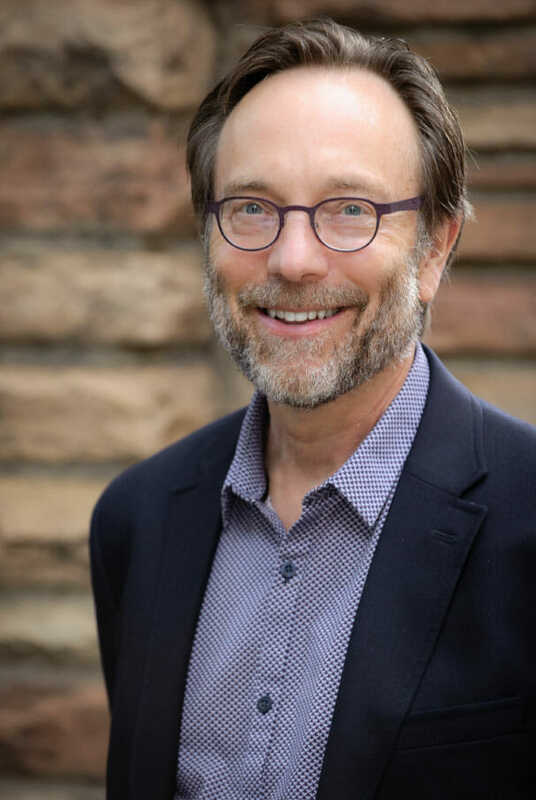 Drawing on insights from neuropsychology and historical anecdotes, Dan Montgomery outlines why overly detailed and complicated strategic planning approaches are not working in a world of increasing uncertainty and complexity. He presents a detailed set of practices for building an agile strategy management system—a simplified, continuous process of strategic thinking, planning, execution, and learning. In particular, the book focuses on objectives and key results (OKRs), a planning method pioneered at Google and other Silicon Valley tech companies and spreading to service businesses and government agencies. OKRs are an easy-to-learn, fast goal-setting process that builds agility, strategic alignment, and employee engagement. Why Read Start Less, Finish More? Download the Introduction of Start Less, Finish More to learn how to build strategic agility with Objectives and Key Results (OKRs). Dan provides a toolkit for those of us that actually have to deploy a strategy – not just think about it. Dan provides his wisdom in strategic planning to give us a discipline to avoid getting bogged down in information overload or too many divergent projects; how to keep up the momentum of progress and how to get the most out of people. This is a guidebook for those who really want to improve results and ensure that their desired future becomes reality. Real advancements in strategy management do not come often. Dan has moved the ball forward by collecting strategic planning, human-centered design, and agile delivery techniques from today’s most successful tech companies and put them together into a simple and innovative framework that is accessible to anyone. 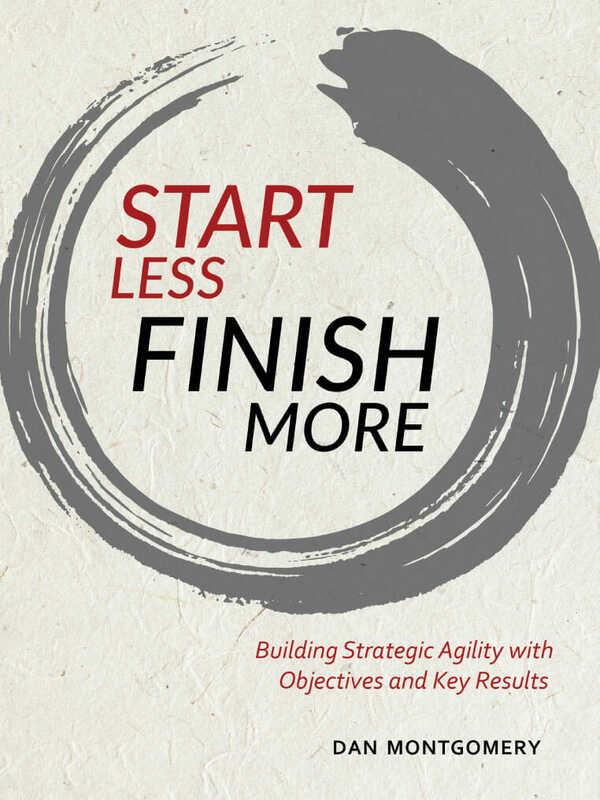 Start Less, Finish More is an accessible how-to guide for using Objectives and Key Results (OKRs) to build agility and engagement in your organization. You’ll learn how to use fast OKR cycles of experimentation, feedback and learning to adapt quickly to change and capture new opportunity. ‘Start Less and Finish More’ by minimizing the number of projects in progress. You’ll learn how to engage your team to create OKRs and translate OKRs into weekly action commitments to get more done. Dan Montgomery is Founder and Managing Director of Agile Strategies, and is the developer of the Agile Strategies Toolkit™ – the first practical step-by-step process for building strategic agility in business management. His diverse career has included IT project management, leadership development, and strategic planning. He has taught strategic planning and balanced scorecard for the past 15 years, and has led the development of strategic plans for dozens of clients. He is co-author of another business strategy and leadership book The Institute Way: Simplify Strategic Planning and Management with the Balanced Scorecard. No one makes strategy accessible like Dan does.